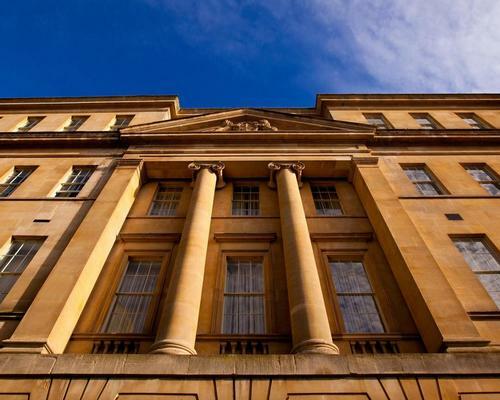 The luxury spa at The Gainsborough Hotel in Bath, UK, has launched a trio of wellness events, taking place between April and June, that are designed to provide guests with a more rounded wellness offering. The events at The Gainsborough Bath Spa – titled Body Age Challenge, Movement Medicine and Courage and Daring – are designed to target all areas of wellness including nutrition, emotional and mental wellbeing as well as physical wellness. "Most spas offer pampering and exercise classes, but we wanted to look at wellness as a whole package - nutrition, mental wellbeing and physical wellness", said Melissa Mettler, spa consultant at YTL Hotels, the operator of The Gainsborough. "We are paving the way for The Gainsborough to be widely regarded as a wellness destination. To achieve this it is crucial that we provide wellness activities and events for guests and visitor." The Body Age Challenge, which takes place on 12 April, is led by nutritionist and weight loss expert Heba Al Zuhair. The session will explore the gap between the body's chronological and biological ages. Al Zuhair will offer advice on lifestyle changes guests can make to align their body's ages. Attendees will also be given the option to have their true body age calculated. Movement Medicine will be driven by yoga instructor Bex Bridgford, who will deliver a lecture on the history and benefits of yoga, before leading a yoga session. The event, which will take place on 10 May, is designed to enhance mindfulness through yoga, and help guests to feel relaxed and at one with themselves. Courage and Daring hosted by mindfulness expert and courage coach Jonathan Ward, on 7 June, will teach guests how to make more fulfilling life choices by engaging with their emotions, and 'everyday courage'. Guests will participate in a series of exercises and reflection activities that are designed to show individuals how to overcome obstacles, and make choices to lead a braver life. "By incorporating so much variety into our offering we can appeal to a wider audience and introduce them to a deeper experience of wellness. We work with modern wellness experts who have the ability to inspire the most hardened wellness-seeker," Mettler added. Each event includes a two-course lunch the hotel's restaurant and a goody bag containing products from the event sponsors, which include Neal's Yard Remedies, Amala and Aromatherapy Associates.